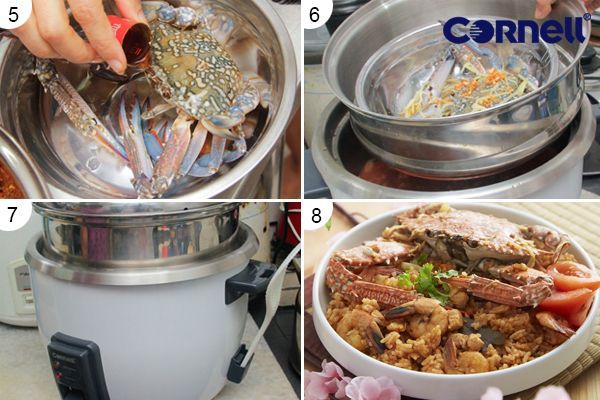 Serve rice with the steamed crab on top. Click here to find more Cornell Rice Cooker information. 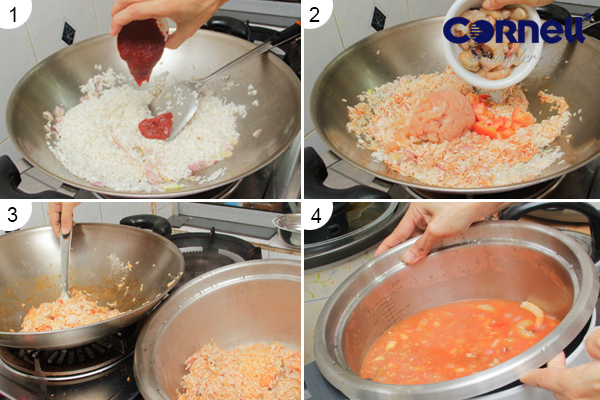 Tomato Rice with Steamed Crab as Chinese New Year Festive Recipe is feature in Oriental Cuisine Issue Jan 2015, Page 112.